Long time follower of your site. Though I don’t always agree with your conclusions, I value your site as a great source of ideas that challenge my conceptions of how things work. Keep up the good work. Having just read the story on the front page of the NY times about the upcoming Trump-Putin summit, I was curious as to wether you think there is any connection between the just confirmed summit on July 16 and the July 12th ECM turning point. I know that a few of the previous turning points coincided with key events in Russia’s intervention in the Syrian Civil war. I remember you stating on your blog at the time that the alignment of key events in that conflict with the ECM suggested an important connection. Given events on the ground in Syria currently pointing to a conclusion in that conflict (with Russia, Iran and Syrian as the victors and the USA, KSA and Israel as losers), I wonder if you would care to speculate what July 12 ECM might bring with regards to that conflict. REPLY: This turning point is not the big one insofar as politics is concerned. However, events seem to gravitate around these points in time. There is a war that is building, but it is not really between Trump and Putin personally. The bureaucracy in the USA seems to want war. Perhaps as a diversion for economic problems with social programs. But the greater risk is a religious war between Iran and Saudi Arabia and we are seeing a rise in Shiites in Iraq. Taking Saddam Hussein out was really stupid. Both he and Qaddafi helped to keep the religious factions in check. With both gone, this is building into a religious confrontation. You even have the leadership in Turkey that is desperate to reestablish the Ottoman Empire also as a diversion for economic chaos at home. 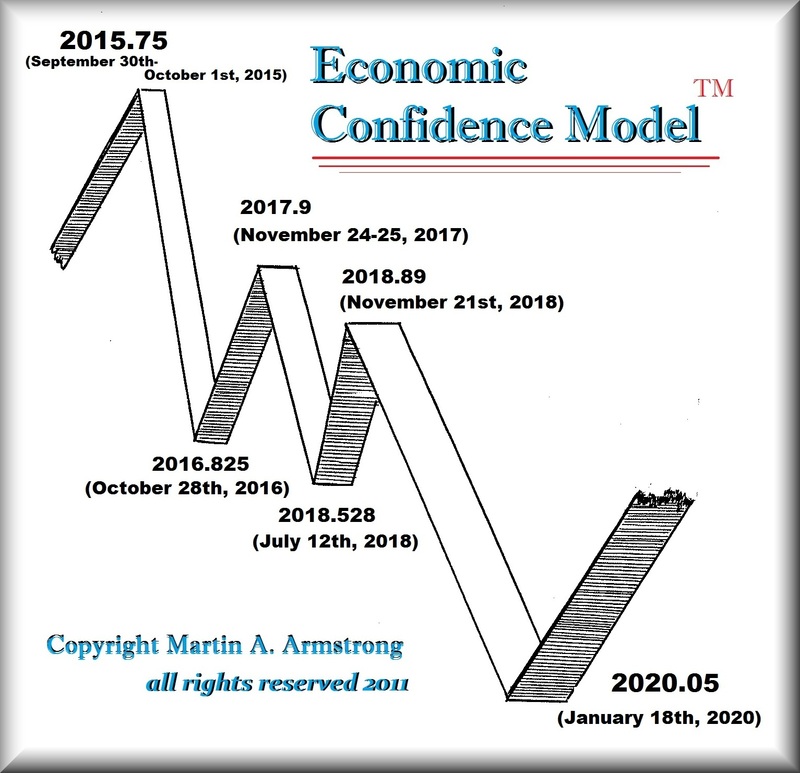 What is interesting is that the quarterly arrays are lining up with the ECM for the first quarter turning point in 2020. It definitely looks very interesting for the remainder of this ECM wave.